The City of Myrtle Beach has hired two code enforcement officers specifically to keep an eye on properties east of Kings Highway in the Downtown Redevelopment Corporation area. The goal is to improve the area’s appearance and maintenance, while also helping property values and reducing opportunities for crime. The two code enforcement officers will look for code violations and notify property owners. 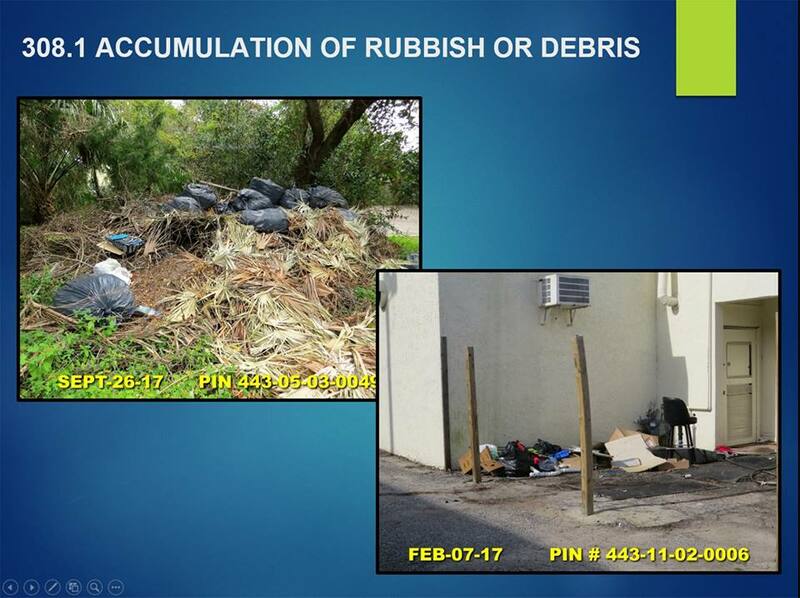 Violations can include overgrown weeds, graffiti, an accumulation of trash or debris, abandoned appliances, poorly-maintained buildings, obsolete or illegal signs, outside merchandise displays and other property maintenance issues. During the initial 30-day period, underway now, the code enforcement officers will be issuing courtesy violations. After that, strict enforcement begins, with specified times for compliance. If the violations remain unchecked, the city can suspend the business license or file a lien on the property to recover costs. Ocean Boulevard and the area between Kings Highway and the Atlantic Ocean is our “front door,” if you will, for residents and millions of visitors. With this new code enforcement effort, the City of Myrtle Beach and downtown property owners will ensure that it’s an attractive and inviting environment for our guests. Questions? Contact Construction Services at 843-918-1111.